Bitcoins have managed to make their way out of the Internet underground and into the real world market, posing an interesting challenge to established forms of global currency - if their use takes hold. As it turns out, bitcoins were created to do just that - solve many of the problems associated with credit cards and the banking system as we know it. There are already some advantages that bitcoins can provide for businesses, but first you have to understand just what a bitcoin is. "The kicker - bitcoins are not actually tangible objects." According to Coindesk, bitcoins were conceived by a software developer named Satoshi Nakamoto as "an electronic payment system based on a mathematical proof." The point was to create a currency that couldn't be regulated, and more importantly, manipulated, by a centralized authority, and that was also easily and cheaply transferrable electronically. The kicker - they're not actually tangible objects. Bitcoins are created by a network of people who "mine" them with their computers using a mathematical formula that's free to access, Coindesk reported. Each bitcoin is defined by a unique code, and only 21 million of these codes can be created in accordance with the rules governed by the algorithm. There are tiny deviations allowed for each unique bitcoin, as in nickels, dimes and pennies from a dollar, but the algorithm is intentionally designed so that no one can infinitely produce them, as you can with dollars. Each mining computer operates as part of the network, which not only confirms every bitcoin transaction but also keeps track of them in an enormous database known as the "blockchain," according to Coindesk. The fact that the network itself confirms all transfers allows them to be done quickly and at no cost - even across international lines. And despite the records kept in the blockchain, bitcoins are anonymous because no personal information is required to set up a bitcoin address. So, even if someone were to trace your public transactions back to a bitcoin address, they would have to dig a lot deeper to find your identity. 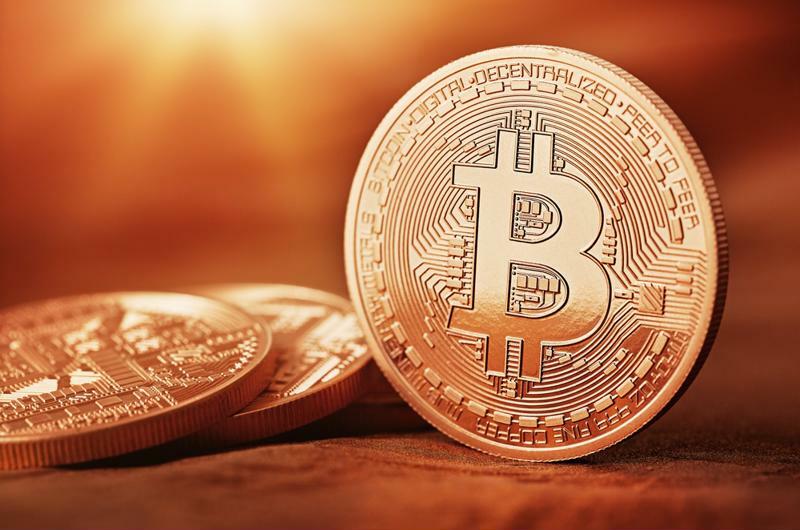 Bitcoins gained popularity as the relatively simple concept spread over the Internet, and they're now being accepted and converted back to dollars by many large companies. On March 25, 2014, the IRS issued its ruling on the legitimacy of what they called "virtual currency," according to an IRS press release. The ruling said that virtual currency has no legitimate status as legal tender in any jurisdiction. Therefore, bitcoins are considered property that is taxable when it's used as wages paid or in sales or other transactions. Bitcoins have gone from underground currency to being traded on the NYSE. Here's how they work: a consumer exchanges real money for bitcoins, which are usually kept in an electronic wallet, according to Forbes magazine. When making a purchase, the customer holds their phone up to a device that scans the bitcoin app and the transaction is made. The bitcoin network processes the transaction so there is no fee for the business or the consumer. The business owner collects bitcoins throughout the day and, using an exchange service, converts them to dollars at day's end. Forbes reported that most of the available bitcoin processors are free, so there is no cost to the business for accepting bitcoins as there would be to process credit card transactions. While large companies that often make big transactions should probably stick with traditional methods, small businesses like coffee shops and cafes will see obvious advantages with bitcoins. But those advantages aren't just limited to eliminating processing fees. Forbes used the example of a dental office that accepts credit cards. If a patient disputes a service or procedure that's already been paid by credit, they can appeal to their bank or credit card company to help get their money back, whether or not the dentist agrees with the decision. "Bitcoin transactions are confirmed much faster than check or credit authorizations." With bitcoins, all transactions are final unless the direct recipient is willing to refund them. So if the dentist thinks there's another reason your tooth still hurts, they have every right to refuse you a refund. This sounds like a raw deal for the patient, but it could be argued that since the IRS considers bitcoins personal property, a judge could reward the patient a refund in small claims court if it's taken that far. If you're a small-time online merchant who's trying to sell products overseas, you can get bitcoin transactions confirmed much quicker than with international check or credit authorizations. Speeding up your company's ability to process these kinds of transactions will lead to faster shipping rates and better business overall, according to Forbes. These are just a couple examples of how bitcoins have advantages for businesses over regular old money, and there are also ways they benefit consumers. One of the biggest advantages in using bitcoins over credit cards is their inherent anonymity. An average of $5 billion is spent every year on credit-card fraud and identity theft, according to CNBC. The source said Bitcoins essentially eliminate that problem because they are a bearer instrument - you own those unique bitcoins, which means that the possession and use of them is anonymous in that you won't be trusting corporations with your personal and financial information just to make a purchase. While a bitcoin transaction can be traced, it would require a lot more effort from hackers to reach your personal and financial information. The only real trouble with bitcoins for consumers is that hackers can directly access electronic wallets and steal bitcoins. But this is a problem that's being solved by startups like Elliptic, which seeks to provide the best possible security for bitcoin transactions in the future, according to Business Insider. The up and coming company also insures the bitcoins it protects, so users will not see a loss if their account is ever hacked. What's more is that, true to their original intention, bitcoins cannot be forged by thieves or manipulated by a large bank or other financial institution to intentionally increase or decrease their value. Instead, their worth is an honest reflection of the market they're being traded in. Bitcoins have a long way to go before they're commonly accepted as legitimate currency. However, it seems reasonable to assume that, given the trends in business that focus on tech-savvy operations and app-driven commerce, bitcoins may have a more definite place in the future business world.